September 6, 2015 Local Events, NewsR.C. A group of local musicians write: We are passionate about music, especially the singer songwriter acoustic type of sound. 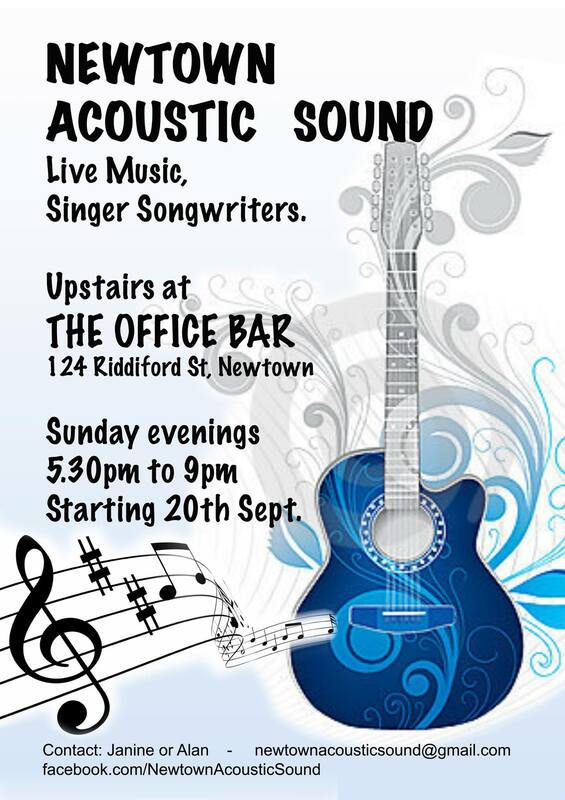 So to hear more of the talented acoustic performers in our area, we have started “Newtown Acoustic Sound”, and hope that many of you will come and share with us in the Upstairs room at the Office Bar in Newtown. We will start it off on Sunday 20th September at 5.30pm with some invited guests, and we hope to develop an open mic. We want to hear your ideas to help us develop a uniquely Newtown music destination.